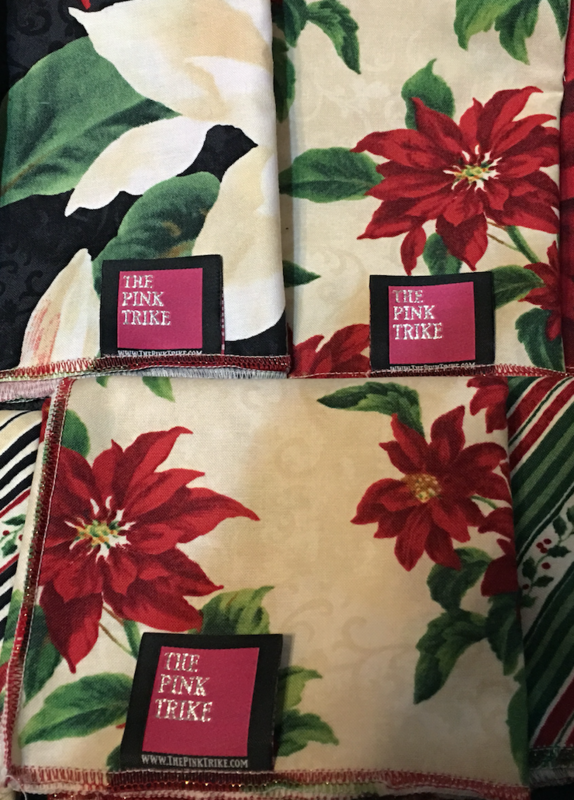 Limited special HOLIDAY WRAPS are available as an eco friendly alternative to wrapping paper. They are known as "Furoshiki" in Japan. Size is approximately 21-22" x 16-18"
​Save trees and use quality 100% cotton with beautiful holiday designs. They are merrow edged with YLI wooly nylon and special Christmas metallic threads. ​They are handcrafted with top quality quilting fabric. The wraps are re-usable to wrap all kinds of holiday gifts. You can tie the corners or use your favorite ribbon, and the best thing is these can be used many times and shared with friends. These also make great holiday gifts in and of themselves. Quick gifts and quick gift wrap. Contact is by word of mouth, and some custom items may be available.